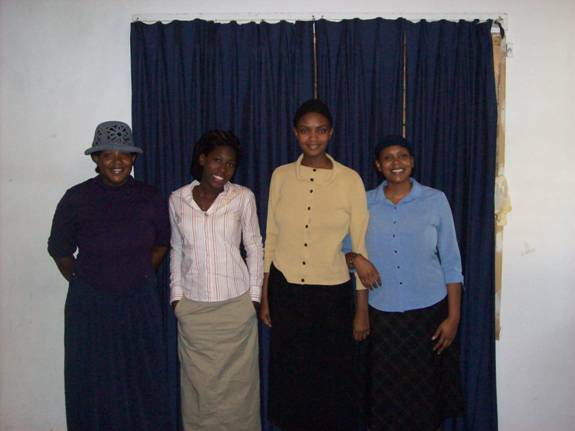 The Apostolic Girls are generally adolescents, not yet 18: generally starting with age 11, but some of them are older than 18. The young girls are trained to work with the all the Women Auxiliaries and are given responsibilities and specific assignments in the service of the Lord. They have various activities. This auxiliary is a training ground for girls to learn to be humble and meek and become women professing godliness. We are the Apostolic Girls. 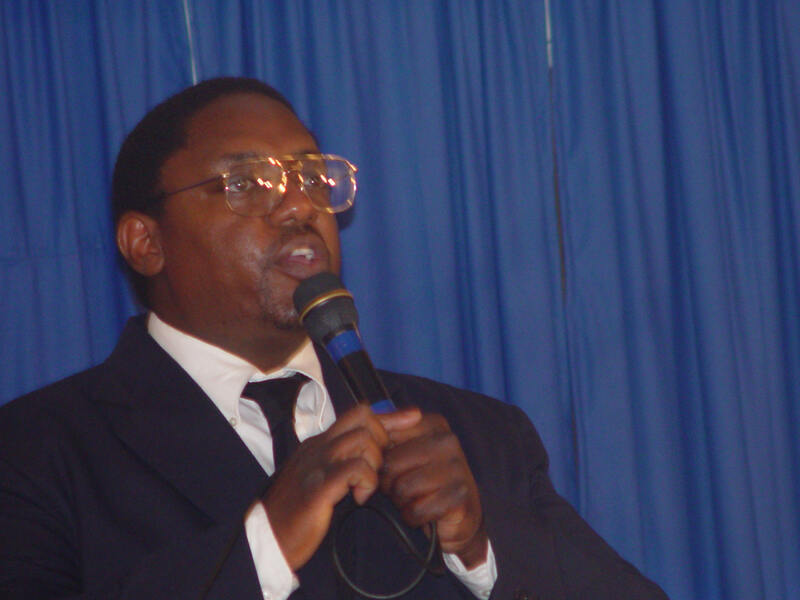 We offer our praise to the lord in various church services. 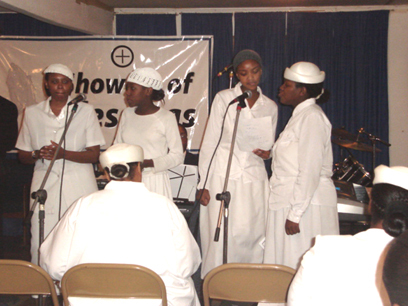 Apostolic Girls praising the Lord at the 2009 Showers of Blessing Program. 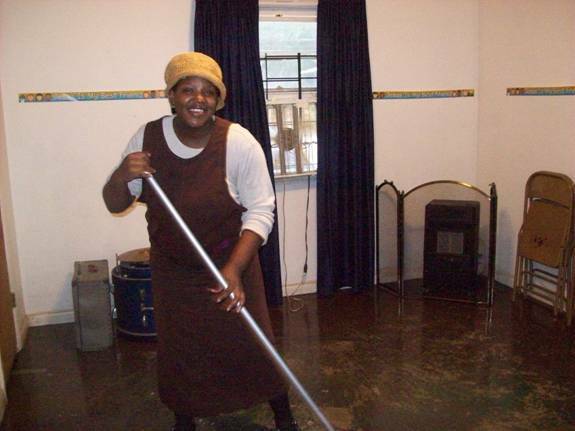 Apostolic Girls working for the Lord, doing our part as we are called upon. 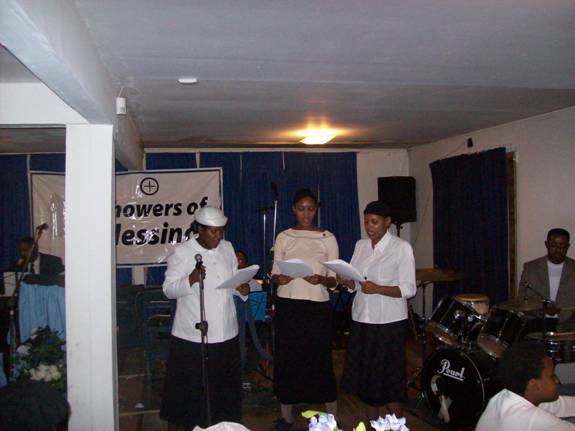 The Apostolic Girls do their part in the 2006 Showers of Blessings service as young women and girls learning to profess godliness.